MUSEO DELLA TRADIZIONE E CULTURA CIMBRA - MUSEUM OF TRADITION AND CULTURE The Museum and Institute of Cimbra Culture of Roana shows the testimonies of the ancient culture and tradition of the first inhabitants of the Altopiano. The Museum and Institute of Cimbra Culture in Roana offers the occasion to everybody to discover one of the most particular faces of our territory, the roots and the origin of the traditional way of life of the population living on the Altopiano. Saying Cimbro we refer both to a culture and a language; language that was used in the Altopiano and in other areas of northern Italy (Lessinia (Verona), Cansiglio (Belluno), Altipiani Trentini (Trento)). The cimbro language survived thanks to the geographical isolation that characterised the mountains where it developed and thanks to the secular economy of subsistence. Nowadays, under the push of the modern dynamics, it has disappeared from the spoken language of everyday life. Only few speakers have remained, but what survives is the toponymy of places and the ancient names of the families. This means that this culture hasn’t totally vanished yet, even though it is a real challenge to keep it alive. Many studies have been carried out from the Insitute of Cimbra Culture, supported by the other institutes of northern Italy. Courses in the original language, lectures, traditional shows, monographic studies, thesis, various publications still attest the vitality of this cultural operation. The museum itself offers the opportunity to see documents and testimonies of this great culture. Moreover, it shows photographies and documents and also a huge amount of tools and instruments that were used in agriculture, cutting trees in the woods, and by the craftsmen. It talks about how hard it was for those people to build their own country and homes, and to pass on this culture to the future generations. The museum is a symbol of this fighting for preserving the culture and tradition that made the Altopiano the beautiful place it is today to live. The city of Roana, a mix of attractions that will please everyone: outdoor sports, beautiful landscapes, historical memories, cultural discoveries, enogastronomic experiences... it is all you need to spend an unforgettable holiday in the middle of the nature. 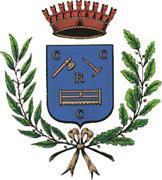 Roana is certainly the most heterogeneous among the municipalities of the Altopiano dei 7 Comuni. It consists in fact of 6 localities, also called “bell towers” because each village has its own parish church. These small towns are: Camporovere, Canove, Cesuna, Mezzaselva, Roana and Tresché Conca. Only a few kilometers separate the 6 suburbs from each other, so it is easy to walk or bike between one village to the other, even going alternative routes, forests and meadows. From any village, unique landscapes and breathtaking views go far beyond the edges of the Altopiano, and the visitor can easily see, when the sky is clear, even the Dolomites and the Venice lagoon in the distance. Roana's territory is largely covered by forests, fields, pastures and gentle slopes, and the average altitude of the villages is about 1000 metres above sea level; this makes Roana (along with the other municipalities of the Altopiano) the perfect destination for a relaxing mountain holiday. The sweetness of the mountain profiles, the fresh air and the endless green invite to spend the day outdoor, in a peaceful environment, where the good climate and the magical colors throughout the four seasons of the year make the tourist feel in peace. Roana can offer a high level of accommodation and a great network of sports choices, from football and volleyball to tennis, from ice skating or summer-skating to orienteering, from swimming to hiking trees and mountains, not to mention the hundreds of kilometers practicable in summer by bike and in winter skiing and finally a little lake suitable for swimming. History has left thousands traces during the flow of time: from the prehistory, with the Valdassa graffiti, to the years of the Venetian Republic, when the whole Altopiano was an autonomous federation inhabited by the “Cimbri”, a germanic population that settled down and built villages; from the first world war, when entire villages were destroyed and many forts and trenches were built to fight the Austro-Hungarian enemy, to the years of reconstruction and tourism and agriculture development. Even the enogastronomic perspective is rich in the Roana surroundings: mountains host tens of alpine huts, where chees is still produced, as long as many other local products, and the lands offer little fruits, mushrooms and herbs in plenty. Every inch of the territory of Roana and the other seven municipalities is rich in history, culture and local traditions. Many festivals (such as the Hoga Zait) and celebrations are organized in order to preserve the ancient way of life and to show visitors how the strong population of the Altopiano used to live, never forgetting its own roots and its identity.